UPDATE: On April 8, FIRE wrote to Columbia University President Lee Bollinger to ask the university to account for the cancellation of the April 4 panel and to provide an explanation of the nature of requests, if any, made by representatives of the Turkish government regarding the content or scheduling of the panel, and Columbia’s response to such requests. Earlier today, Council on Foreign Relations Senior Fellow Steven Cook expressed disappointment on Twitter over the cancellation of a planned April 4 event in which he was scheduled to take part at Columbia University. 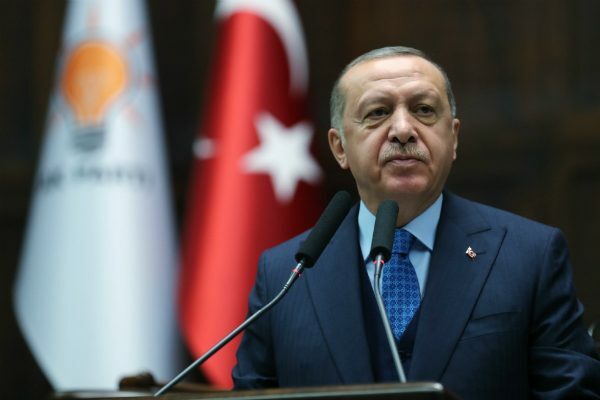 Cook voiced concerns that the panel, which would discuss the rule of law (or lack thereof) in Turkey, was canceled by Columbia due to intervention by the notoriously authoritarian Turkish government. We have spoken to organizers about the decision to cancel this event. We understand that in recent weeks event participants and organizers began to have serious reservations about the composition of the panel for the event, believing that it reflected an insufficient breadth of Turkish voices. Efforts to add an adequately diverse set of Turkish perspectives to the line-up were apparently not fully successful, and we understand that there were intensifying concerns that important viewpoints would not be represented. We also understand that late last week Columbia was approached by a representative of the Turkish government who expressed objections to the planned event and the views that would be reflected in the discussion. We received word of the cancellation today. We understand that Columbia intends to reschedule the event with a panel that includes a broader representation of Turkish viewpoints. As an organization dedicated to the defense of freedom of expression and one that has been deeply involved in issues of free speech on university campuses, we are concerned that the outreach from the Turkish government may have played any role at all in Columbia’s decision to cancel the panel. While there may have been valid grounds to reconsider the make-up of the event and even to postpone it in order to ensure a more representative group of speakers, the direct intervention of the Turkish government in an effort to influence the event creates at the very least a perception that Columbia may have been influenced by Turkey in its decision to call off the event. The government of Turkey is notorious for its relentless crackdown on dissidents, writers, journalists, and scholars, including many who are university-affiliated. Government intrusions in university decision-making of this nature violate academic freedom and freedom of speech. Universities, scholars, and free speech defenders must be vigilant in resisting such interference and avoiding even the perception that decisions may be shaped by government pressure. Organizers and participants are free to modify or cancel events or their attendance as they see fit, and there is nothing inherently concerning about those participating in an event seeking to change its content or format. However, if Columbia postponed an event for content or viewpoint-based reasons, including to appease a government’s concerns, or allowed a government representative to meddle in the discussions that take place on its campus, then this incident represents a serious threat to the academic freedom of the members of its campus community. Turkey is a leading jailer of journalists, academics, and dissidents, and any efforts to spread such censorship on U.S. campuses must be closely watched. Attempts by government actors to influence academic affairs should be met with transparency on the part of the institution. Columbia should immediately clarify the reasons behind the event’s cancellation and should make public any requests it received from Turkey’s government regarding the event, including the nature and content of the request. Transparency is vital to ensure that members of Columbia’s community know that academic freedom and freedom of expression will not be subject to the whims of foreign or domestic government officials.